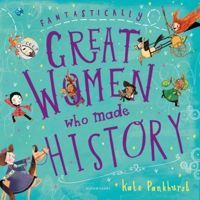 Join even more of the world's most inspiring women in this amazing activity book based on Kate Pankhurst's Fantastically Great Women Who Made History, the eagerly anticipated follow up to Kate Pankhurst's hugely successful Fantastically Great Women Who Changed the World, number one best-selling children's non-fiction title in 2017. 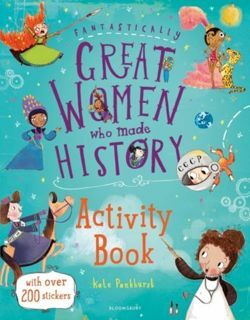 Full of fun activities and over 200 stickers, along with nuggets of information about these amazing women to accompany each activity, prepare to spend endless hours of fun with Harriet Tubman, Mary Shelley, Pocahontas; Josephine Baker, Valentina Tereshkova and many more!Bite-size text and informative text accompany these brilliantly fun activities. With over 200 stickers, this is the perfect activity book to celebrate girl power!